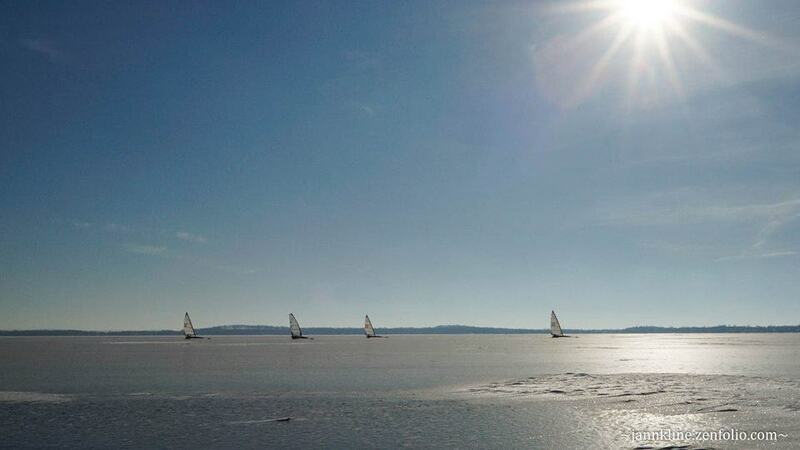 The ISA regatta was first sailed in 1940. 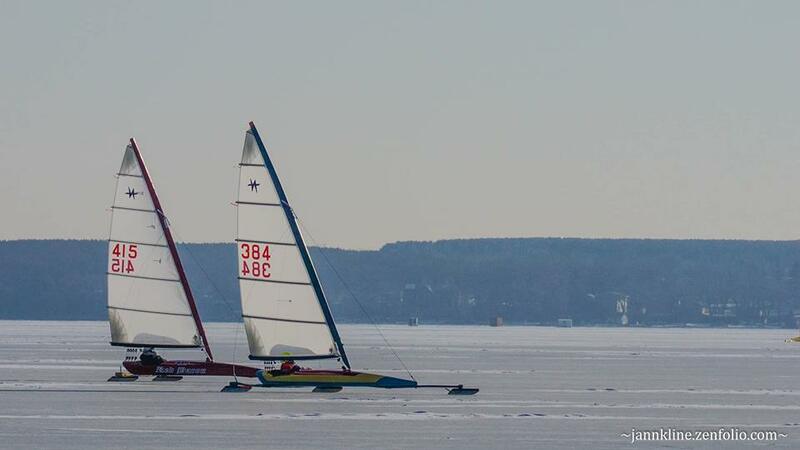 The only rules for the Skeeter class are sail area and configuration. This class thrives on the latest state-of-the-art technology. 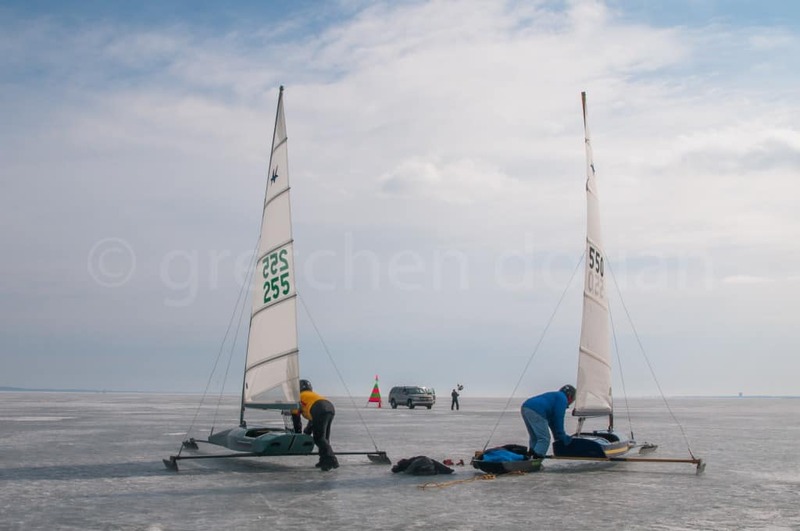 Skeeters are the “Formula One” in the world of ice yacht racing. B Skeeters maintain the classic lines of the wooden Skeeter. 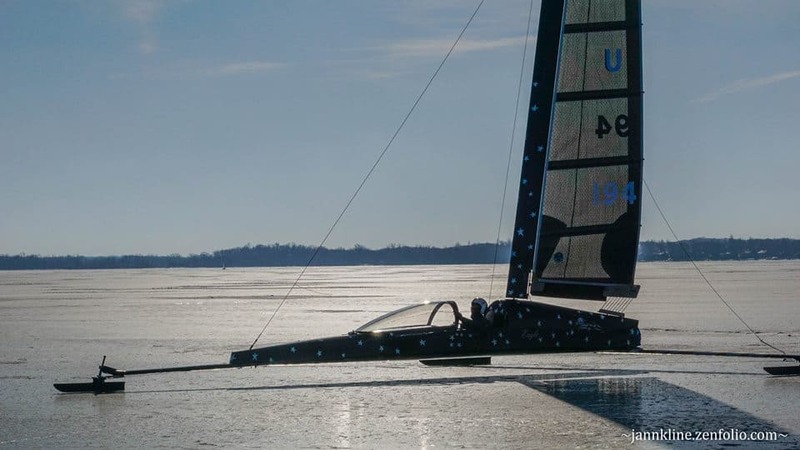 The Nite class has competed as a separate class in the ISA since 1996. Sail area 40-75 square feet and mast less than 20 feet 3 inches from deck to top of mast. 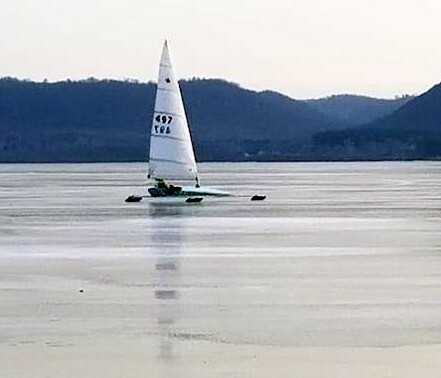 The International Skeeter Association (ISA) was organized in the late 1930s and the first ISA regatta was sailed in 1940. Skeeters were developed on Geneva Lake in Wisconsin. 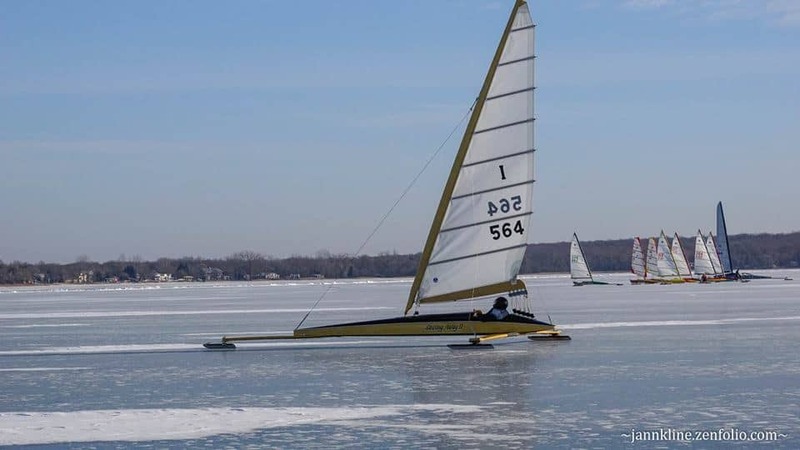 They are piloted by a single skipper and steer from the front of the boat as opposed to the original iceboats which were crewed by two or more and steered from the rear. 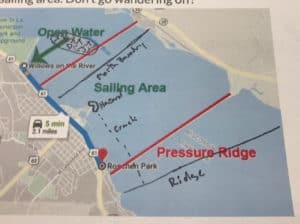 UPDATE JAN 10: JD has added more detail to the sailing area map. I don’t have time to revise it from the one that was posted yesterday. JD’s comments and lines are in black. 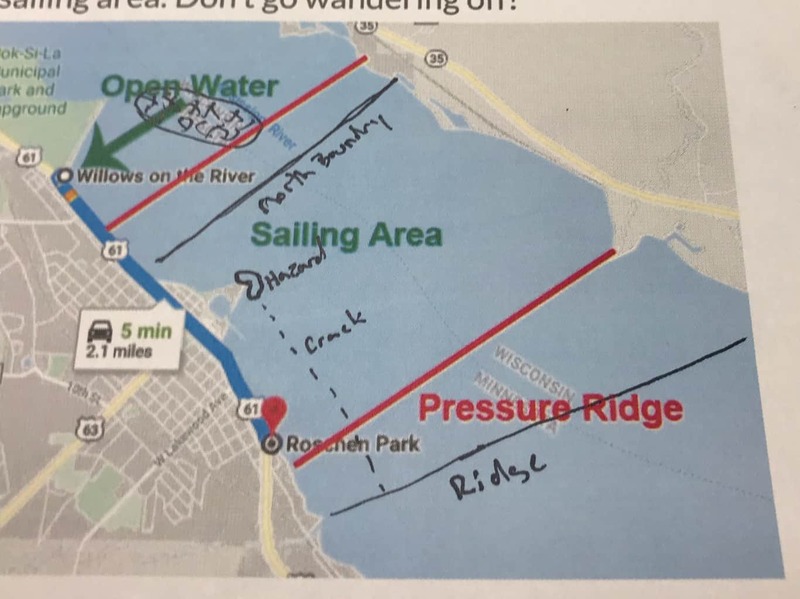 Please review. The International Skeeter Association Regatta and the Renegade Championship have been tentatively called on for January 11-13, 2019. 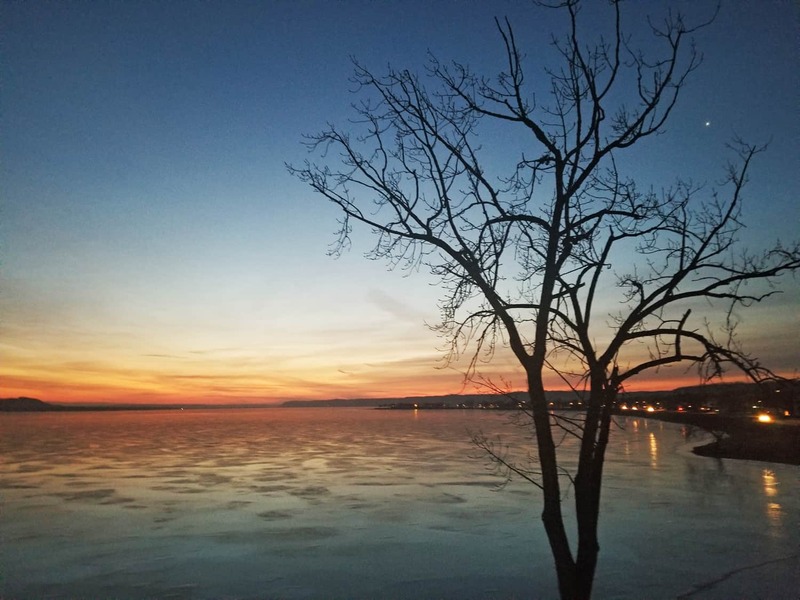 Potential sites include Lake Pepin in Lake City, MN, Lake Puckaway near Montello, WI, and Lake Kegonsa in Madison, WI. Final confirmation will be made on Wednesday, January 9 by noon CT.
Next update Wednesday, January 9 by noon CT. 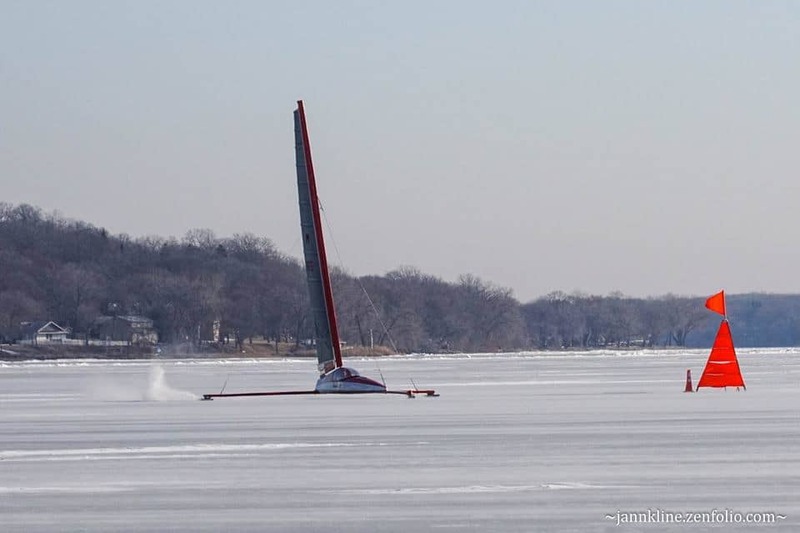 Always a pleasure to see what Minnesota iceboater Jim McDonagh comes up with video-wise after a regatta. 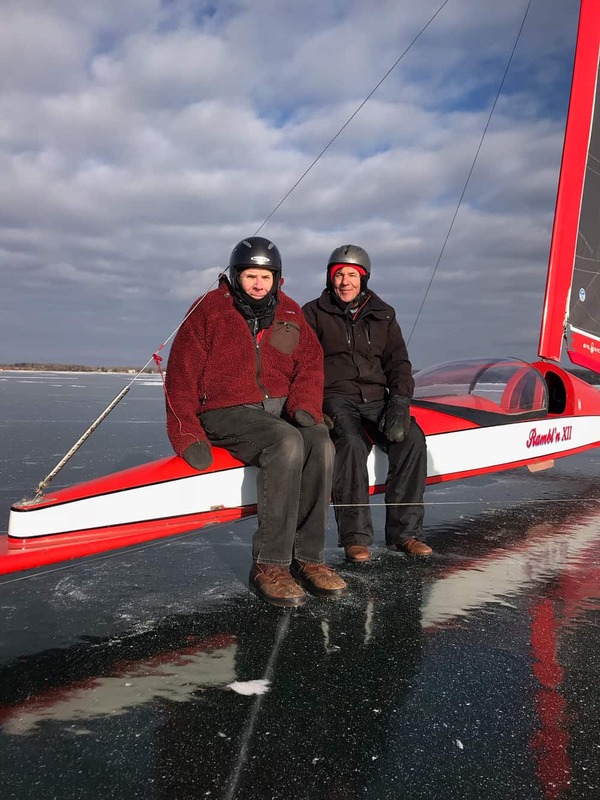 Ride along on the range with JD and Marty Robbins as they race JD’s Class A Skeeter at the ISA regatta in Battle Lake, MN. 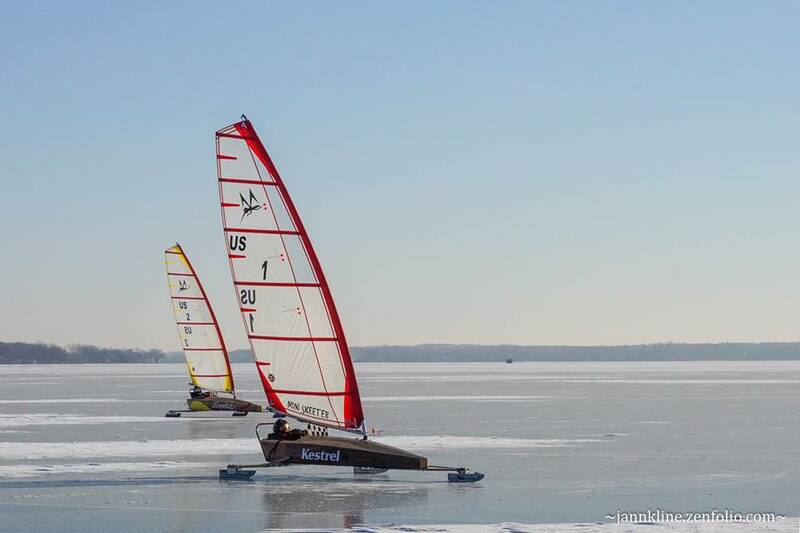 The boats are packed, on the trailer, and heading west (John Eisenlohr and his mini-Skeeter to Montana! ), east, and south towards home this morning. The 2018 ISA has been called complete. 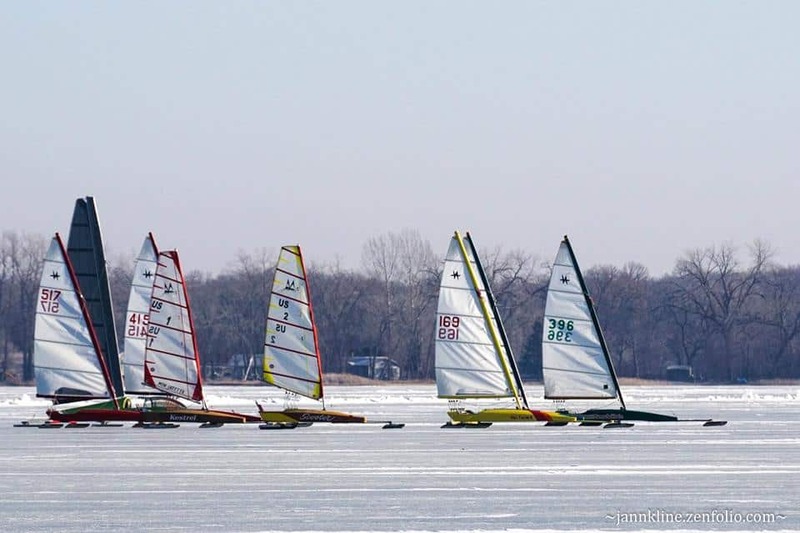 Battle Lake photographer, Jann Kline, took advantage of the elements of light, wind, and ice to shoot these beautiful photos at the ISA regatta there on Saturday. 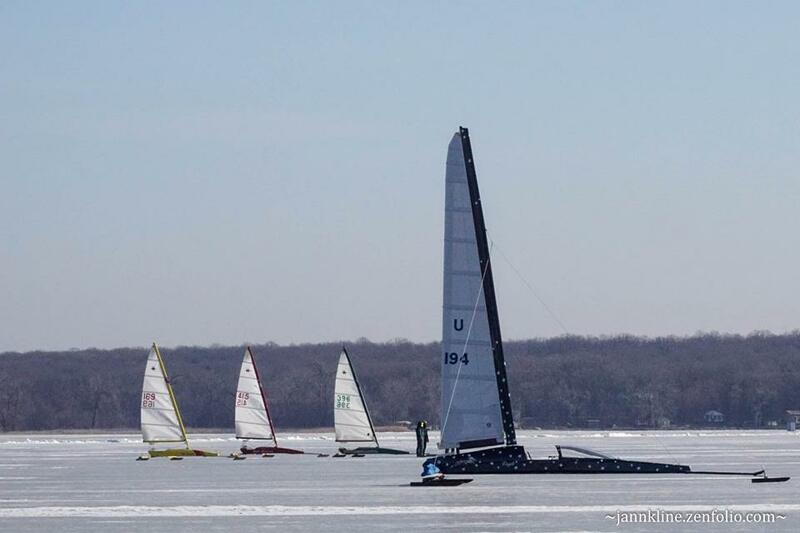 Another update from the ISA championship regatta being sailed at Battle Lake, Minnesota. 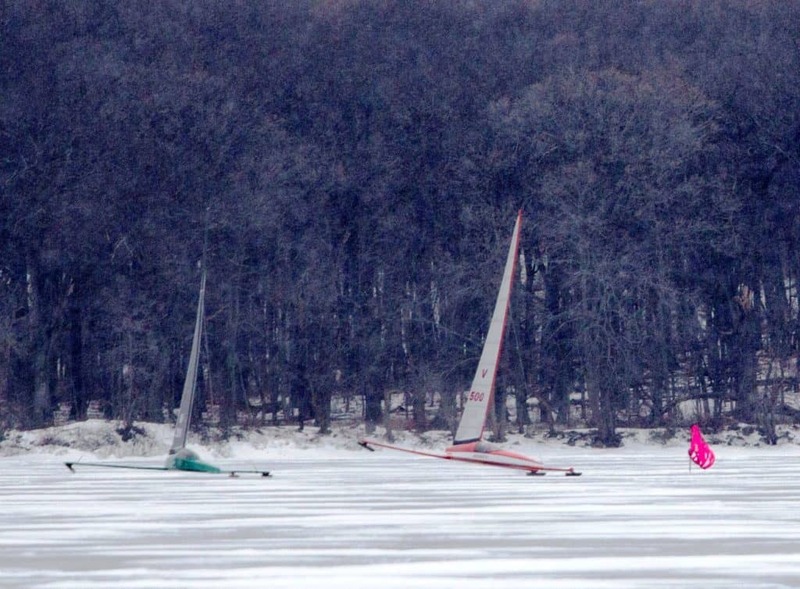 Word is that the sailors were happy with the wind and conditions today. 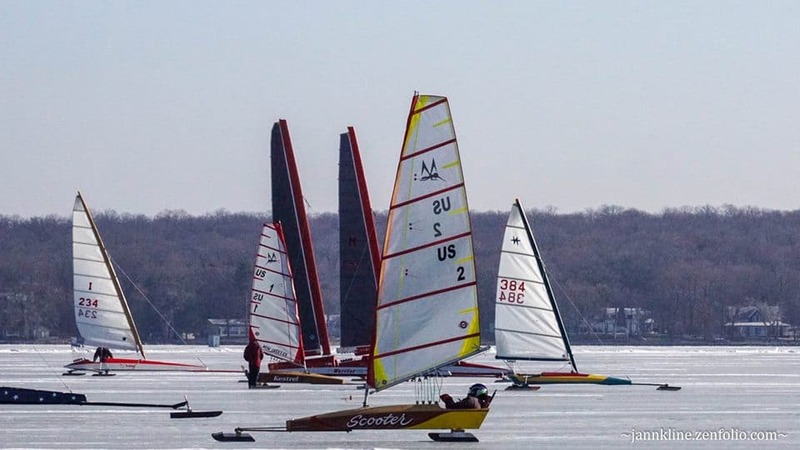 Mary Jane Schalk has updated the scores to reflect 6 total races in each fleet. See them on the International Skeeter Association page. 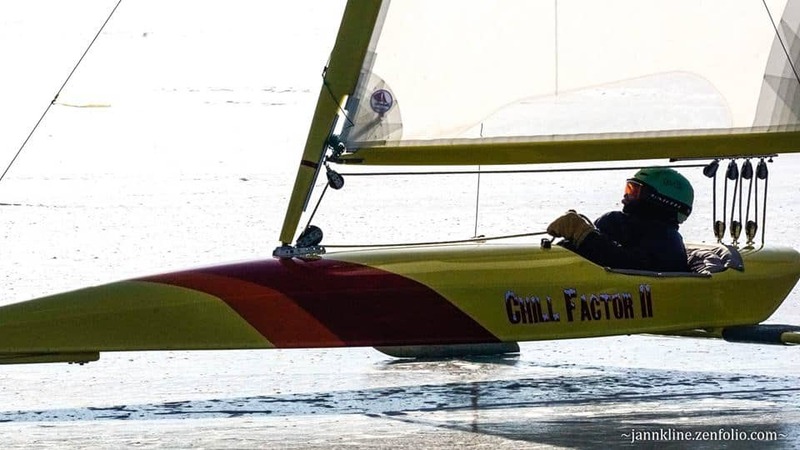 Direct from the ISA Tabulation Office in Fontana (just up the hill from Chuck’s on Geneva Lake, one of the world’s greatest iceboating bars), here are preliminary results from the ISA regatta. 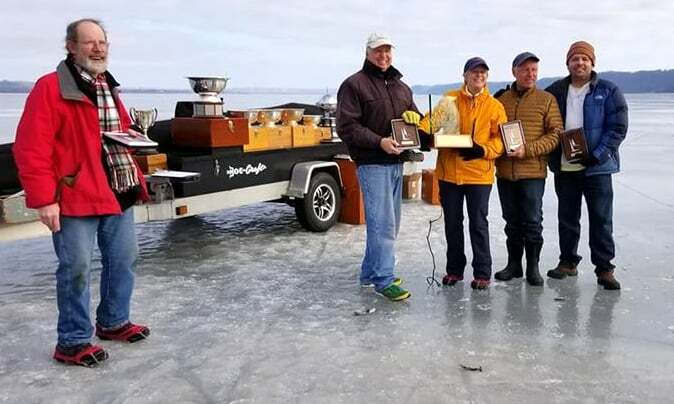 The 2018 International Skeeter Association Regatta has been called ON for December 7, 8, 9 in Battle Lake Minnesota. 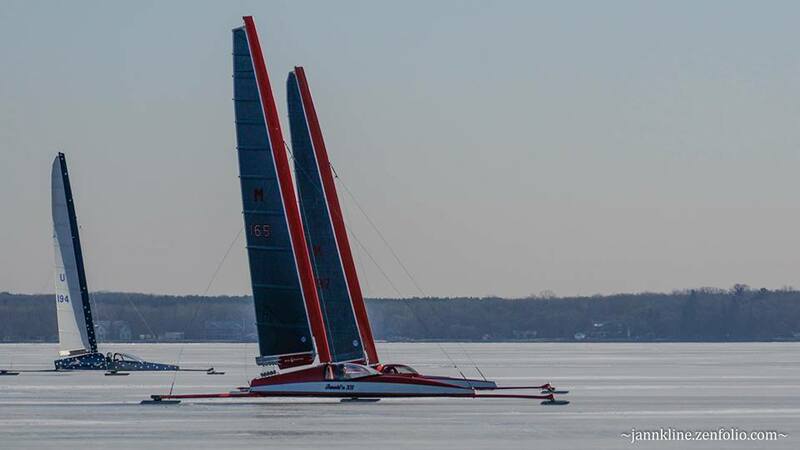 Please see the ISA page for pre-registration, launch, lodging, and schedule of events. 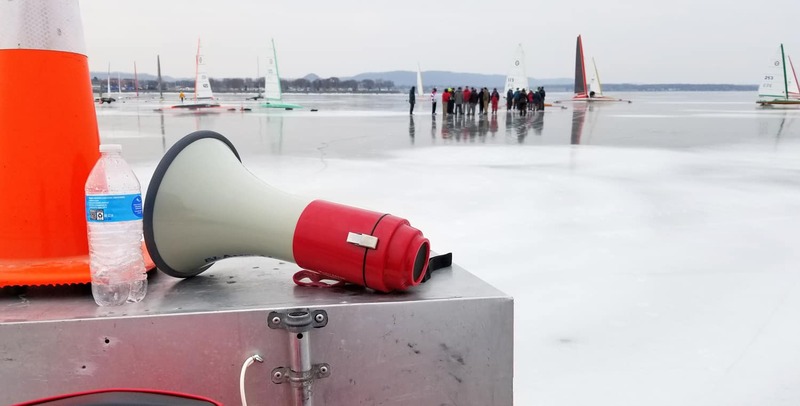 This regatta holds races for A,B,and C Skeeters and the Nite class. 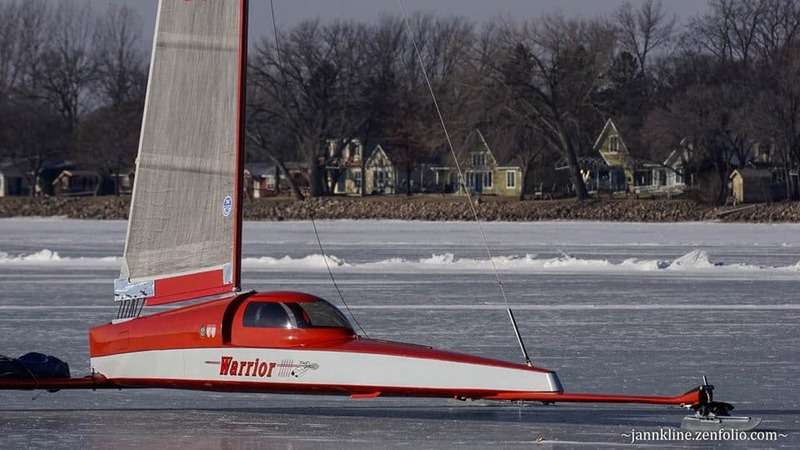 The 2018 International Skeeter Association Regatta has been tentatively called ON for December 7-9, 2018 for Battle Lake in Battle Lake, Minnesota. Final confirmation will be made on Wednesday, December 5, 2018 by 12 PM CT.
December 7,8,& 9. Tentative site Battle Lake, Mn. The Western challenge will be held this weekend and we expect detailed scouting reports. Next ISA Championship update will be Sunday evening. Get your gear ready for an 2018 event!